Trials & Tribulations: About Time We Talked About Michael Jackson, Don't You Think? About Time We Talked About Michael Jackson, Don't You Think? It’s a safe bet that some of our readers here at T&T wonder why we haven’t really jumped on the Michael Jackson bandwagon. Imagine if T&T had been in existence during Jackson’s 2005 child molestation trial? What a field day that would have been! It’s my belief that when Michael Jackson is the topic of conversation, no one is really on the fence where he’s concerned. You are either a fan of his music or you are not (I have never been, even when I was a kid. Back then I was more of a Led Zeppelin, Bachman Turner Overdrive, Eagles type of kid). You either believe he molested those boys or that he didn’t, and there’s no talking you out of it. However, most everyone can agree that something happened to him when he was just a child, and the fingers pretty much point to his father as being the source of the abuse, and the source of much of the dysfunction in Michael Jackson’s life. So when I heard the news that he’d died on the afternoon of June 25, after I'd spent the afternoon at the movies watching “The Proposal,” the first thing I thought was “another Anna Nicole.” Like all of you, I’d read tabloid rumors about his having lupus, and I know that in its most severe form, it can kill you. We all know about the vitiligo, a skin disorder that can cause much mental pain but itself has few systemic negative health effects. But Michael Jackson was going through some vigorous physical activity in preparing for his London appearances, so who knew how his health really was or how his body was holding up with long hours of rehearsals. We also have a man who tried to “call in sick” for his molestation trial because of severe back pain—pain so severe he essentially shut down an emergency room when he and his entourage stopped by early one morning. He’d also done time in rehab for an addiction to pain pills that started when he was severely burned while filming a Pepsi commercial many years ago at the height of his popularity. I remember saying “It was drugs, a cumulative overdose” right off the bat. I had no idea it was really as bad as it seems to be turning out to be. I believe it was the day after Jackson died that the reports of a “shot of Demerol” started coming up. Demerol is a commonly used narcotic—most everyone’s received it at one time or another. And usually it’s not a harmful drug, used sparingly—but it has a very dark side too, something I know a bit about. There is a move by medical practitioners to use Demerol less frequently because of its negative pharmalogic effects. I have specifically been told to never have even a single dose of Demerol ever by several anesthesiologists. I might be fine, but I might just have a grand mal seizure. No one can be sure. Meperidine is poorly absorbed through the digestive tract, so a doctor will prescribe a slightly higher dose. Problem is, a person can still get the same amount of normeperidine jerking your central nervous system around. Fifty milligrams of oral Demerol may work as well as 25 milligrams when given into a muscle, but those 50 milligrams are broken down in the same manner, so you get the same “dose” of toxic metabolite. Then word came out about the Deprivan (propofol). First I thought “no way.” This is a medication that has absolutely no place in outpatient care. (By outpatient care I mean at home. This medication is frequently used in outpatient surgery centers for diagnostic procedures such as colonoscopy or bronchoscopies.) It might not be a highly controlled substance, but it’s also not something that the pharmacy in your neighborhood has any reason to keep in stock! This is another medication many of us have had—while undergoing general anesthesia. It’s a milky white drug, and it stings like no one’s business when given through an IV. But you won’t care about the pain, because as you get ready to say “ouch,” you go out like a light! Generally speaking, your body clears this drug pretty quickly, so if an anesthesiologist elects to use this in combination with other drugs to keep you unconscious during surgery, you may get a continuous infusion. It’s also used to sedate ICU patients. HOWEVER, whenever this drug is used, there must be ONE medical professional monitoring the patient for low blood pressure and apnea (lack of breathing), and that person must be able to initiate symptomatic treatment—which means a person using this drug is usually intubated and ventilated. 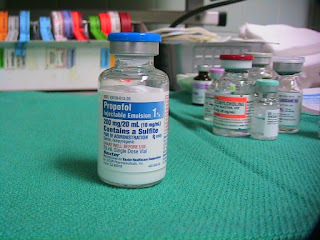 With prolonged use, a propofol abuser could experience propofol infusion syndrome. Signs and symptoms can include cardiac failure, metabolic acidosis, and rhabdomyolysis (damage to muscle tissue that results in breakdown products flooding the bloodstream, causing a fluid shift that can lead to low blood pressure, electrolyte imbalances, or disseminated intravascular coagulation [DIC]). One simple shot does not reverse propofol overdose or propofol infusion syndrome. Treatment is supportive, but propofol infusion syndrome is still often fatal. Any doctor who is dumb enough to prescribe that medication in an outpatient home care setting is negligent. Any nurse who injected that medication into Jackson in a home care setting is negligent. Any lay person who learned how to do an IV injection for Jackson to give him the propofol is a murderer. I’ve not read any media reports that intubation equipment or a ventilator was sitting around Jackson’s home. As a matter of fact, had it been, that should have been the initial treatment initiated by the doctor at the home, non-board certified cardiologist Conrad Murray. Had that equipment been on hand, Jackson might be alive today. Even more reports state that the only things found in Jackson’s stomach were pills. I’ve read those pills were oxycontin. The active ingredient in oxycontin is oxycodone, more commonly known as Percodan (oxycodone and aspirin) or Percocet (oxycodone and acetaminophen). Oxycontin differs from the “percos” in that it’s a timed-release drug. The worst-case possibility is that Jackson had oxycontin on board that wasn’t working quickly enough, so he was given (or took) a quicker-acting narcotic (Demerol) for faster relief. Not feeling sedated enough, a well-meaning (but utterly stupid) person gave Jackson the propofol injection. Voila! An injection of Narcan wouldn’t have been enough to revive him if there had been normeperidine in his system—as a matter of fact, Narcan would have made things far worse. A treatment (obviously not readily available) for normeperidine toxicity is hemodialysis. So what kinds of “medical devices” did Dr. Murray have anyway? Why didn’t he have something as simple as a CPR mask? What is the use of having a doctor on staff if the only equipment he has is a stethoscope and blood pressure cuff? And why this particular doctor? Jackson would have been better off with Dr. Drew than what he ended up with. Many of us are simply gobsmacked that nobody stepped forward and made Michael quit taking so much medication. No doubt he had the money to buy the best medical care available. There are other ways to treat back pain, if that was his primary complaint. Unless you have lived with an addict, you have no idea how hard they are to deal with—especially one who doesn’t have to steal money from his mother to go buy his fix from his friendly neighborhood drug dealer! Perhaps he was clever enough to have multiple “treating” physicians, none of whom knew about the other. Prescribing Oxycontin or Demerol (oral or injectable) is perfectly legal. Those drugs are commonly available at a pharmacy. The propofol is another thing entirely and the physician who prescribed that drug is guilty of the worst kind of malpractice. But I suspect he was paid very well to prescribe that drug. I don’t believe that he intended to die. From all accounts, he loved his children, regardless of their biology. He would not purposely harm them in any way, the ultimate harm being abandoning them through death. I firmly believe Michael Jackson was as salvageable as Anna Nicole Smith was—with the right people getting them on track through rehab and ongoing treatment. Each were meal tickets for less-than-scrutable people, and it was easier to feed their addictions (and keep the money coming) rather than risk being tossed from the inner circle. What do you think happened? What do you think the consequences will be? Who is at fault? Will dispensing laws change? Will pharmacists be held responsible for prescribing drugs they know have no place in outpatient home care? And can this sort of behavior be prevented from happening to Michael’s kids? I have been feeling upset over MJ's death, but not because a pop icon died, but because I lost my own dad to prescription drug addiction. Too many things I hear commentators casually discussing during this nonstop media obsession bring up the past. Nothing stopped Jackson from accessing his drugs and nothing stopped my dad either: not almost dying on several occasions, facing prison time, humiliation and shame, pleading family members, etc... Like Jackson, Dad would have cut any of us out if we had successfully blocked his attempts to acquire drugs. What's left after they finally do kill themselves are the wounded family members: a father burying his only son (my grandpa); a wife who has become bitter and lost; children who are left with everlasting scars, including a daughter whose once-upon-a-time hero dad is reduced to a selfish, lying criminal; and a family basically shattered until almost no one speaks to the other. Anyway, I feel for MJ's kids, but I had to stop watching the media frenzy pretending to be "news." I do hope the physician who enabled this is punished, but I also know that even without riches or fame an addict will usually succeed in acquiring their drug. This is a very interesting and informative article. I have taken meperidine a couple times in the past and had NO IDEA. To think that poor Michael Jackson got on the roller coaster of drugs and painkillers and had the financial power to keep everyone at bay. It is really tragic. I hope the good thing to come out of this, no matter whether you like or don't like him, is the story of how one's life can go out of control with an addiction. One wonders if that didn't also play into the plastic surgery. Surely the plastic surgeons were prescribing painkillers right and left. I agree that MJ was not trying to commit suicide. I feel that he was an abused child by Joe Jackson his father. The child molestation charges are strange. I feel that MJ lacked capacity as an adult to see that having children share your bed at age 45 and so on is just wrong. But lacking capacity doesn't make it forgiveable. Maybe he was stuck in a time warp, with Peter Pan decorations all over Neverland Ranch. I wouldn't trust leaving any kids I know alone with him. I think when the truth comes out it will be Dr. Conrad who takes the fall for the Propofol. Dr. Conrad was in financial trouble and let's face it any doctor with a "good" practice doesn't get into financial trouble. It also appears to me MJ has been sold out by everyone. Everybody now eager to talk about him. This Miko Brando dude seems like a leach, so he put out a small fire on MJ's hair in 1987. It appears he has been on the payroll ever since. MJ probably had drugs from elsewhere, other docs and didn't tell Dr. Conrad. But, Conrad was in the house when MJ died no doubt he was hooked up to a little IV taking a nap! Dr. Conrad may have signed on late in MJ's addiction process, but he was the last doc in the house. Unfortunately, the Medical Board of California is the worst consumer agency in history. With an annual budget of about 51 million (from docs registering their lic.) the Board really only investigates about 300 to 400 complaints of the 11,000 submitted. The Board employees are sworn peace officers with no medical education per se to investigate! Have you ever heard of Dr. Jan Adams again, he killed Donde West after she was doctor shopping for plastic surgery? MJ died because he was shopping for the wrong kind of candy and he found someone to take the money in exchange for it. Excellent post Sprocket. Very informative and actually quite a bit scary. I get terrible migraines and cannot take triptans or any NSAIDS...It doesn't leave me much for pain. Going to doc Monday for something stronger than Fioricet, but you have me scared of anything stronger....Now they are talking about limiting acetominophen in alot of meds...doesn't leave me with much help LOL Ultimately though, Michael(and Anna Nicole) were their own worst enemies in this drug war on their bodies.. sad when doctor ethics are over ridden by greed. Let's give credit where credit is due. I did not write this entry. There are three other talented contributors to T&T, and I would appreciate it if everyone could acknowledge their efforts. This entry was written by CaliGirl9. Caligirl this is a very good article. I totally agree that who-ever obtained this Diprivan for MJ is negligent at best and a murderer at worst. To give that drug without supporting staff and equipment just boggles the mind. Its obvious that Michael had everyone dancing to his tune and getting drugs under assumed names and the whole gamit. Any MD who agreed with his demands for drugs is negligent. It has been reported that he would go in for minor procedures (ie. botox or acne tx) and demand to be sedated with this drug. He was accomdated. There seems to be a lack of basic ethics. Money is the new God ( or maybe not so new). I am sorry for his family who loved him, and just sorry because he was a young man (tells you about my age) with a family of his own. I just hope that there is a thorough investigation of drug sources. That may stop one more person from being a victim. MJ had no one surrounding him that really loved him....just loved his money. Great article Caligirl! I too think it was very neglient of whatever Dr gave him these dangerous pills/pain killers. I heard that Dr Conrad was delayed in calling 911 because nobody knew what the address was - ?? - can't you just run out and LOOK at the address on the door/fence/curb??? Strange that it took them 30 minutes to find that out! Sorry caligirl, I do applaud the informative post on this subject as I said above. I guess I didn't read where the post came from. Thanks for the info!!!!!!! I always forget that Sprockie isn't the only poster here. All of you posters do a great job....otherwise why would we all be here????? Knowledge is power and you guys definitely empower us readers. Great post and such a sad life. Contrary to 'either you are or aren't' theory, I'm in the middle. I liked his music but bought never bought any and I lean towards not believing the allegations but think his bizarre actions opened him up to the charges. My concern is and always has been with the kids. I just don't understand why MJ would leave their care to his mother who obviously wouldn't or couldn't protect him during his childhood. It also says a lot that if not his mother, then Diana Ross; not his siblings so it isn't family ties no matter what some of his brothers and sisters are saying. I do hope those poor children get the loving support and psychological care they need. Niner,I believe I read that the doctor claimed that there was some sort of security set-up with the phone—not sure what or how that works or if it even is something that really happened. In California, landlines in most municipal areas are equipped for the physical address to pop up at the 911 call center. This won't, of course, happen with a cell phone. I guess whatever this "security" thing was supposed to do was block the physical address? I don't even know if that can really happen? Any phone company people out there? The lack of knowledge of the physical address is plain scary too. How and why wouldn't someone WORKING at the residence KNOW where he was? I think this was probably not the first time they had any sort of overdose "scares" with MJ. He probably "always came around" before. I hope they throw the book at these MDs who would provide these inappropriate "meds". As to his sexuality, I imagine he was somewhere between (closeted) bi or gay, with pedophilic tendencies, or some kind of transgender-in-his-head. Whatever he was, he certainly was not the boy next door. A good shrink---which he apparently avoided like the plague---could have helped and would have helped. Maybe future generations of sexually-conflicted young people can learn from this wrecked life. Outstanding article, CaliGirl9! Very informative. Your medical knowledge and insight made this article one that should be published in newspapers or a commercial online site. Of course, I am happy that it's posted on Sprocket's T&T. I feel if anybody is living a life in which they cannot sleep without serious meds, maybe that's not the right life for them. They need to take a reality check and get out of denial, and help themselves. To be fair, the doctor was probably busy giving CPR and could NOT run out and look at the address. You'd think the security guy would have known, though. Then again, maybe the security guy was nowhere within calling distance at the time -- that's a pretty big place, after all. I can also see how someone might NOT know the address of the place they work if the place is big enough and recognizable enough that they just know how to get there. It was not your average employer, after all, and any addresses given in that regard probably are for an office or P.O. Box, anyway. That said, from what I hear, MJ suffered cardiac arrest quite some time before outside assistance was summoned. My guess is that he was already not just merely dead, but really most sincerely dead before he was even found by someone. Other reports say he collapsed in front of people. I think it was probably the former, though. There is a tendency in high profile celebrity/notable deaths for handlers to come in and clean the place up before authorities are called. Removal of provocative/damning items, documents, photos, substances, etc., are par for the course. They probably have checklists. Naked corpses are cleaned up and dressed, undesirable people are paid off and shuffled out the door, incriminating odors are Febreezed. I'm not saying any of that happened, but you never know with someone THAT high-profile. Then there was the matter of his sister coming over a couple of hours later with two moving vans and removing God-knows-what from the premises. You'd think the doctor would know how to give CPR properly, though. You don't do it on a bed and if there was all that junk in MJ's house, like oxygen, why wasn't he given that? Why wasn't there an epi pen to jump start him? Or a defibrilator? I didn't hear about any of those being used. The doctor was unprepared, is how it's looking. Today's news exposed Jackson as being addicted to at least 10 Xanax every night - as many as 40 a night at one time. I was watching Geraldo last night and he had the doctor on who did the intimate examination of Michael Jackson during the molestation trial. This doctor is now Geraldo's son's new father-in-law. The show was interviewing lawyers and doctors, including Baden and Geragos, and they all said that the government is going after the doctors for murdering MJ. They repeated that MJ had so many fresh needle marks on his arms. How on earth could anybody take over 40 Xanax a night? So, the doctor who examined him in 1993said (for the first time now) that there was no evidence at that time of Dr. Klein prescribing drugs for Michael. Michael did have vitiligo and bleached his skin to make it one color (which many of us suspected). He said his genitalia were oddly colored with both light and dark colored skin, and the description and photos taken showed it, and all were exactly what the child in the case had attested to. He said that Michael had only skin involvment of Lupus (that was shown in his nose), so it wasn't extreme. The nose had scarring from the Lupus and the attempts to fix it didn't work. He was trying to look like a normal guy. Otherwise he was pretty healthy. Dr. Klein was the only one who could calm down Michael. MJ paid $15.3 million to the Chandler family. Furthermore, the doctor said that it isn't completely normal for a child to describe the genitalia in such detail under normal circumstances. So, the fact that this child could do so, was unusual. But, what actually took place between them, he had no way of knowing. Also on Geraldo was a Dr. Sebi who Michael went to for help because MJ couldn't sleep, he was undernourished and delirious. Dr. Sebi gave him phosphates, carbonates, bromides, iodizes, to revitalize him. Dr. Baden said that it sounds harmless, like giving herbs, and didn't harm MJ, but it probably didn't help him (in his opinion). Nora, thanks for the updates. I think this case is going to result in BIG CHANGES to the way doctors do things in California (at least). Hey there CaliGirl9, I'm sure this, combined with the Anna Nicole Smith trial, will bring huge changes. I hope the main change will be people buying drugs with fake names or using other people's names. And, hooking everybody up to a national, major database so there can be cross-referencing on doctors, patients and medications can be a good idea, if not in the extreme. I've noticed that even the past few years in having my own prescriptions filled, insurance companies have more controlling and paranoid. I just hope that the changes don't make it much harder for people who really need medication in order to live. I think one of my sentences above isn't written clearly. 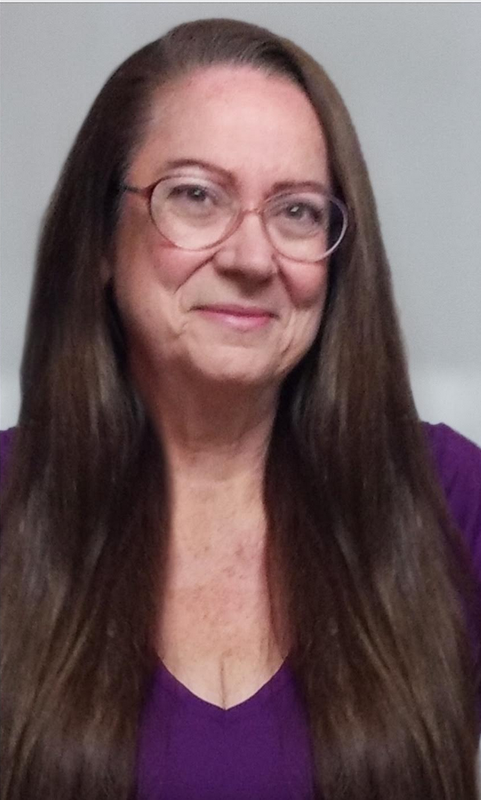 I was attempting to say that one of the biggest changes will be the forbiddance of people to purchase medication under any name other than their own. I was watching the CNN show and some film clips of MJ were shown and his right wrist appeared to be deformed, lumpy. Nobody seemed to have noticed, nobody mentioned anything about it. I wonder what he had to make his forearm so deformed. Anyone know?